A District is a geographic area within the local BSA Council. The purpose of the District is to support the local units & provide program opportunities for youth. 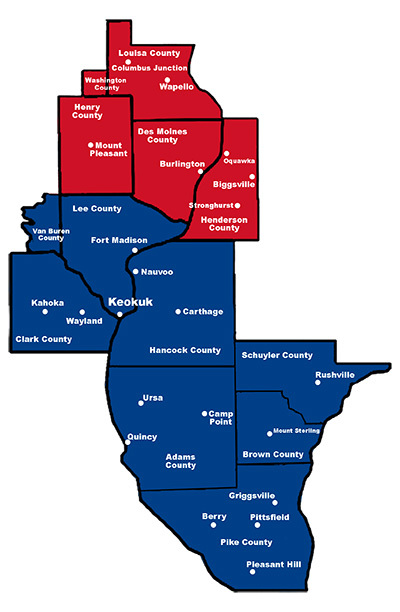 Mississippi Valley Council consists of 2 Districts. Shoquoquon District in northern part of the council and Eagle Valley District in the southern part of the council. Roll your mouse over the map below to find your local district.